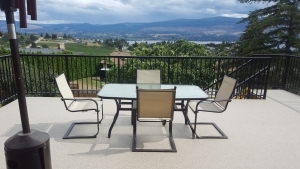 A glass railing system from Deck Doctor is the perfect way to enhance your view. 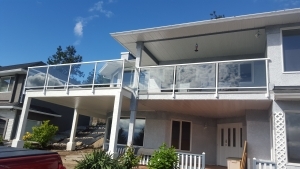 Glass railing provides a beautiful design element to any home and offers a safe method to ensure your view from the inside of the home remains unobstructed. Glass railings vary in design and style depending on the application. Commercial and public buildings may require a thicker glass to be installed compared to residential decks. 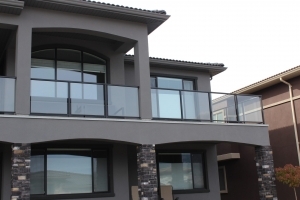 Glass railings are surface mounted but fascia mounted systems are also available and can be custom fabricated to meet specific building or architectural requirements. 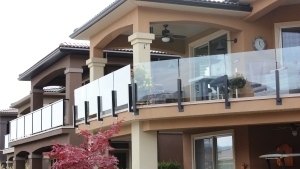 For residential glass railing projects the post and rail system features anodized aluminum railing with glass panels. 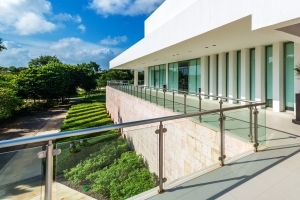 For luxury homes and commercial project stainless steel can be used to provide a modern and extremely durable railing system. A number of panel sizes are available but usually feature a 36 inch or 42 inch rail height. Building codes may vary from city to city so it is best to consult with one of our railing experts before ordering glass railing. Glass railing can also be featured inside homes to create beautiful stairway and walkway safety rails. These glass rail systems offer a modern and clean aesthetic for new home construction. The glass is tempered and durable while providing for an open feel. Custom stainless steel or aluminum post and top rail solutions are available and made to measure custom work is one of our specialties. 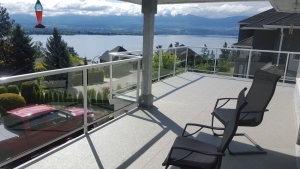 Deck Doctor offers glass railing installation and fabrication for projects in the interior of BC. 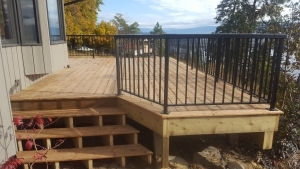 Glass Railing systems are manufactured in our Kelowna facility and delivered to any location in the Thompson Okanagan and West Kootaney region.